Free garlic bread when you spend over £10. (Excluding meal deals) Please use the comments box on the next page to claim this offer. 9" thin crust pizza - 9" garlic bread - quarter pounder burger & chips - regular donner kebab - 2 cans of Pepsi. 2 regular donner kebabs - 2 quarter pounder burgers with chips - a 1.5L bottle of Coca - Cola. 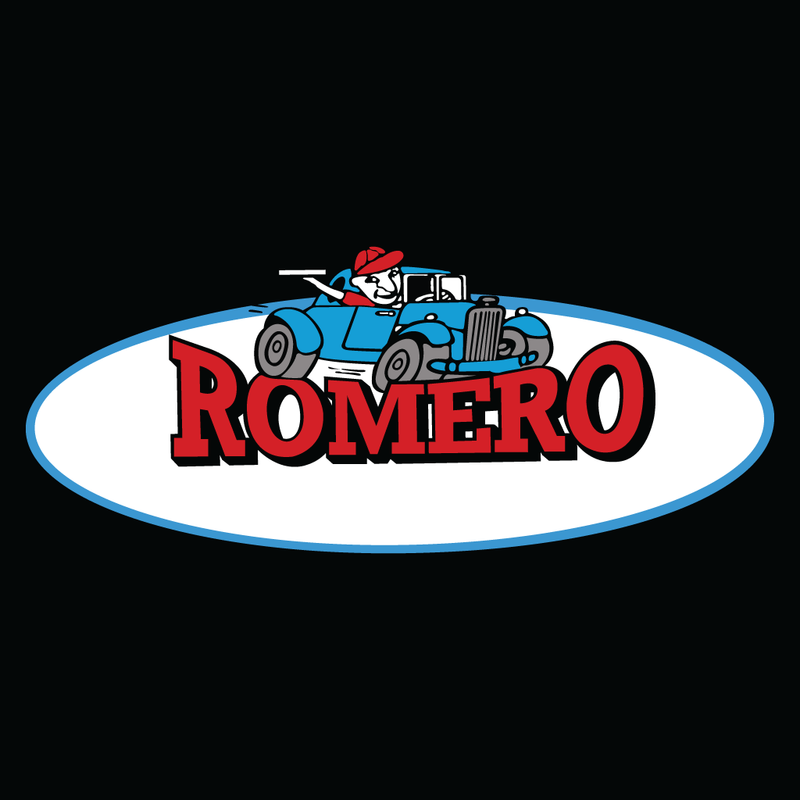 Pizzas are freshly baked with Romero's own pizza sauce & the finest mozzarella cheese. To add extra toppings simply click 'Select Extras' in your cart. Mushrooms, peppers, sweetcorn, pineapple & onions. Salami, green chillies & mushrooms. Ground beef, green chillies, mushrooms & onions. Tuna, prawn & garlic butter. Tandoori chicken, mushrooms, onions & jalapenos. Double cheese with any 2 toppings. Salami, pepperoni, ground beef & chicken. Mushrooms, sweetcorn, pineapple, peppers, onions, tuna, prawns, salami & pepperoni. BBQ base, chicken, ground beef & green chillies. Mushrooms, salami, pepperoni, onion & tandoori masala. Folded pizza with donner meat. Ground beef, onions, sweetcorn, peppers, green chillies & tandoori chicken. Chicken filler burger with hash brown. Served in a hot pitta bread with salad & sauce. TO ADD AN EXTRA SKEWER OF MEAT OR A NAAN BREAD SIMPLY CLICK 'SELECT EXTRAS' IN YOUR CART. Slices of roasted minced lamb. Boneless marinated chicken & lamb. Marinated chicken & roasted minced lamb. Marinated lamb & roasted minced lamb. Donner, chicken & marinated lamb. Seekh kebab, donner, chicken & marinated lamb. Spiced minced meat served on naan. Cabbage, tomatoes, onions, cucumber, sweetcorn, pineapple & prawns. Boneless Southern fried mini fillets. Great pizza and cheesy chips! Always hot when it arrives. Delivery guys always pleasant food is fab and value for money. Best kebab in the Preston area by a country mile. Meat, salad and bread all fresh and portions are more than enough. The lads in the shop and delivery drivers are always helpful and friendly too. Got the Â£11 deal. More than enough food for two. Great deal. Delivery always quick. Excellent food and fast delivery as always. Great food, really quick delivery! Amazing food! Arrives hot and perfectly cooked.! Best takeaway in leyland ð??? Always great food, and great service. Now an app to match up to it ð??? Ordered extra prawns but didn't get them.